If you can’t be safe, I guess you might as well be comfortable. Someone apparently spotted this (lifted?) 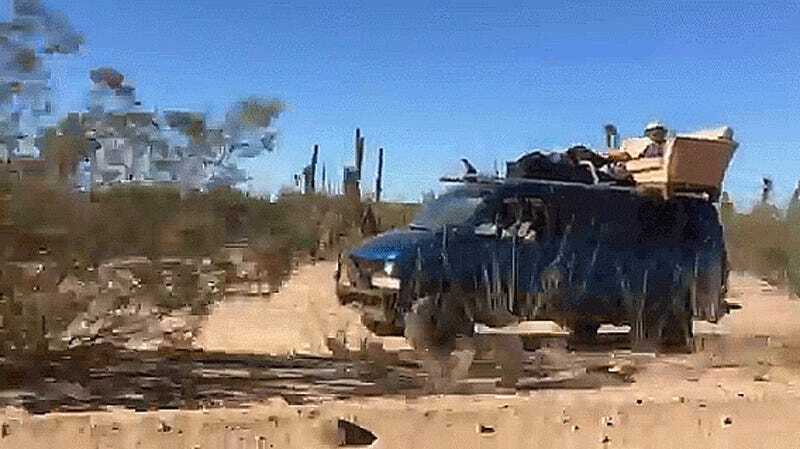 GMC Savanna/Chevy Astro van running around Baja carrying too much cargo on its roof, including a horizontally-opposed couch upon which one particularly brave bro appears to be perched. Such a seating position is obviously an invitation to an unpleasant death, but I have to admit, it sure does look groovy up there. Hopefully the van’s driver went ahead and pulled over as soon as the camera stopped rolling. Don’t try this at home. Or, like, any place. Still, it’s a little fun to live this extreme iteration of van life vicariously.